Southmead Development Trust invited architects and design teams to register their interest in taking part in a limited design competition for the redevelopment of the Glencoyne Square area of Southmead. gcp Chartered Architects teamed up with Alec French Architects and McGregor Coxall Landscape and Urban Design Consultants to prepare a strong submission from Bristol-based design companies. The team was one of four shortlisted practices selected to develop their ideas through to a public and stakeholder consultation carried out over three days last week. 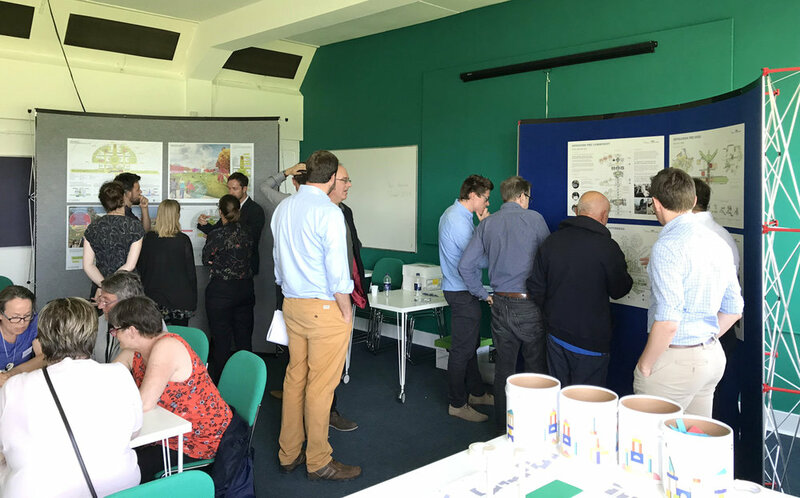 This exercise created good interest from stakeholders and the local community, where there is an enthusiasm to support change and develop new facilities around the Glencoyne Square area. This exciting project could have wide-ranging benefits, supporting community organisations, local shops and traders, creating opportunities for new housing and community facilities and regenerating the infrastructure of the area. All four design teams were challenged to explain and justify their ideas and approach. 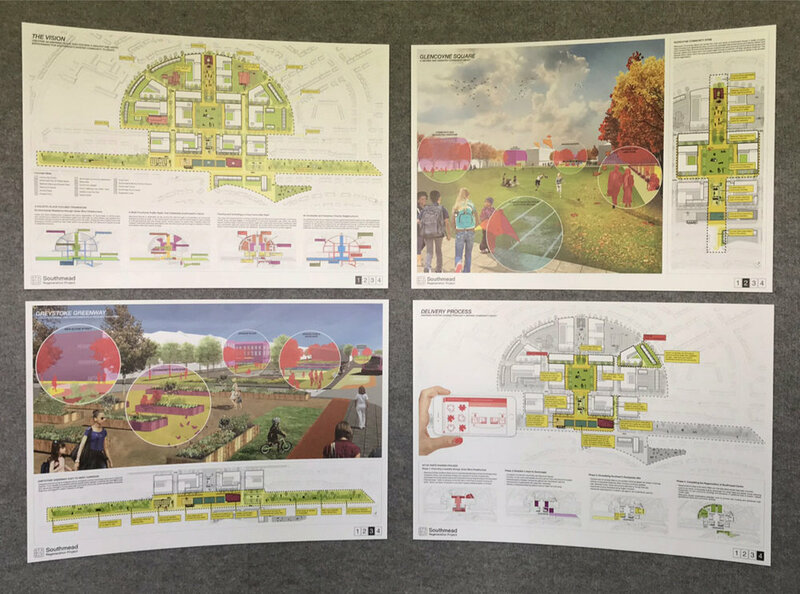 Southmead Development Trust are expected to announce a preferred design team to move forward for the next stage of the project that will include detailed consultation and planning applications.